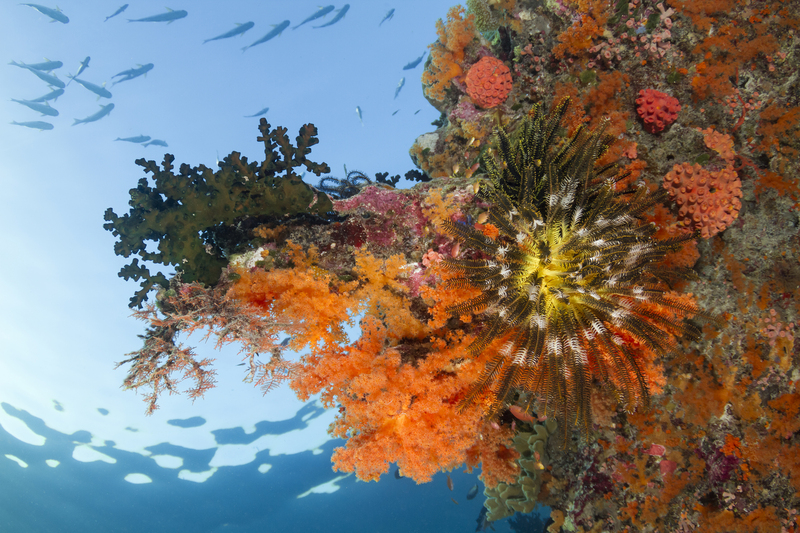 Despite instances of climate-driven disturbances within the coastal ecosystems, scientists have found some cases in where corals appear to have developed some degree of resilience. Jennifer O’Leary, a California Sea Grant Marine Biologist based at Polytechnic State University, and her colleagues surveyed 97 marine experts to get their observations about climate-induced perturbations, including temperature changes, severe storms and ocean acidification. As they assessed the results, it seemed that eighty percent of those who had witnessed climate extremes also found evidence of habitat resistance or rapid recovery. For example, in one coral bleaching event in Western Australia, although 90 percent of the live corals had perished, the reef cover recovered to 44 percent in just 12 years. The experts cited areas of remnant tridimensional habitat, high connectivity, sound management practices (particularly the control of additional human stressors) as factors that facilitated resiliency. In another incident, in Almirante Bay, Bocas del Toro Province in Panama, the corals exhibited signs typical of coral bleaching in September 2010—they were turning white and dying. Scientists quickly suspected there was more than it than simply higher-than-normal temperatures. For one, the ocean floor was covered with mats of bacterial slime, and dead bodies of crabs, sea urchins and sponges. In addition, there was a distinct water level above which the reefs appeared normal. Below that level, the same reefs were obviously dying. Analysis of the water showed that the lower level had extremely low oxygen levels; this led the scientists to conclude that it was a dead zone. In shallow waters, above the lower level, oxygen levels were high and so the corals were still healthy. Compared to ocean warming and acidification, such dead zones are more localized occurrences. “Fortunately, they can be reduced by controlling sewage and agricultural runoff into the ocean,” said Andrew Altieri, staff scientist at the Smithsonian Tropical Research Institute. Hence, it appears that corals, in some cases, can be more resilient than we would normally expect them to be. So much so that O’Leary said that if marine protected areas “are spaced appropriately given the reproductive output and dispersal potential of species,” it may be possible to mitigate the damage caused by climate disturbance events.